India’s Next Top Model and other such shows have changed the way we look at fashion models. We are glad for how far we’ve come as a country and also so proud of how Indian models have made a name in the fashion world against all the odds. Some of them have made it big not just in India, but internationally as well, and we couldn’t be more proud. It’s no easy feat, and that’s why they continue to be an inspiration to girls who want to take this up as a career. 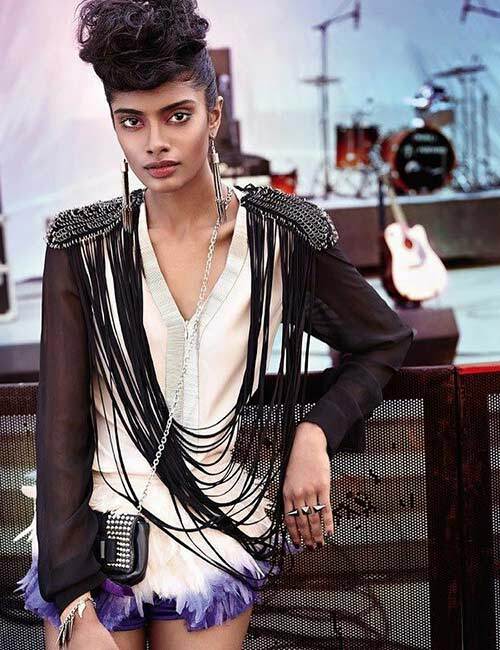 Let’s look at the top fashion models in India, and their stories. Check them out. Okay, if your first reaction to this is WHAT?!! – We need to talk. We know her as an actress and Miss Universe, but she was a model much before any of this, so how could I not start this article with Aishwarya? There’s nobody quite like this Mangalore beauty with such beautiful eyes, hair, and skin. But, we are grateful that she started off as a model – because how else would we have discovered this beauty? The damsel from Chennai, who was the mother of all supermodels of India, made a name for herself even before cultural diversity was a thing. It was pure serendipity that an agent discovered her at a quaint cafe in Madrid, Spain, and the rest is history. Her Paris Week assignment was only a start to her modeling career, and she soon became a supermodel as dusky beauties had started to become a thing. Padma Lakshmi is known for being the judge on ‘Masterchef Australia’, has acted in films and TV shows, and written her own cookbook. She traipsed through so many odds both personally and professionally, which is what makes her an inspiration to millions everywhere. Another diva from Bangalore who was discovered right out of college. She walked in the Paris Fashion Week – and this is what all model dreams are made of. After her stint at the Paris Fashion Week, she bagged another big break when she was asked to participate in ‘Elite Look Of The Year’ in 2011 and made it to the final few. She has ever since been shuttling to and from New York, Paris, London and all other big fashion destinations. It’s been over 7 years that this twenty-something model set her foot into modeling, but she is still huge in the industry. 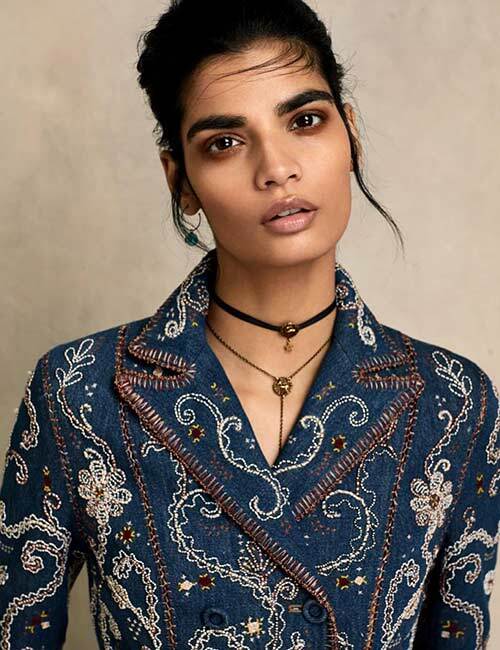 Bhumika Arora, a name you would have heard of if you are even remotely into fashion, style, modeling, etc. After the legacy of Anjali Mendes, Ujjwala Raut, and other Indian supermodels who took the Indian modeling scene to the next level, we have people like Bhumika Arora amongst others that are carrying the baton. At 26, she first walked the ramp at the Paris Fashion Week and went all out the next three years with big names just getting added to the list. From sharing cover pages on magazines like ‘Elle’ to an individual cover story on Vogue, and making it to the Forbes ‘30 Under 30 List’, Bhumika Arora is a fighter and gives us inspiration for all the right reasons. Nina Davuluri is the first female of Indian descent to have won the ‘Miss America’ title. While there’s a lot of fluff about her being more American than Indian, we or anyone cannot deny that the world celebrated cultural diversity with her. She now hosts a show called ‘Made in America’ that airs on Zee TV America. She beat all odds to be where she is, and that’s the kind of inspiration we could all use. 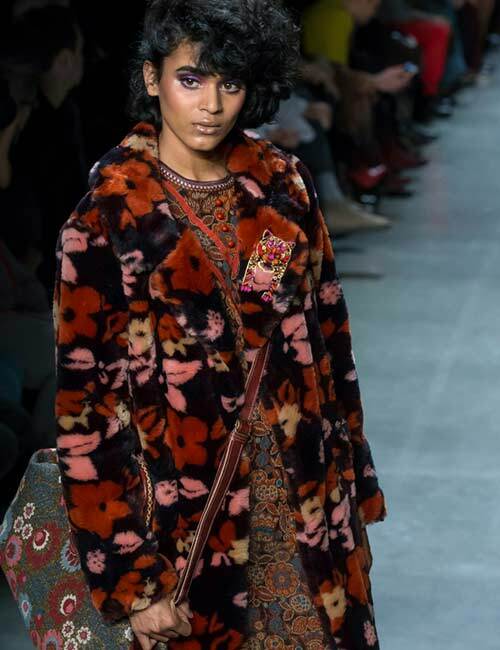 Lakshmi Menon is one of the few Indian models who has continuously been working with International model agencies from the time she first started modeling. Givenchy, Alexander Wang, Chanel, Stella McCartney, etc. are just a few big names she walked the ramp for. She is not a typecast of a dusky Indian beauty working her way towards bagging minuscule roles in Hollywood. From magazine covers to editorials all over US, UK, and Europe, Lakshmi Menon has set the world on fire. India was all praises for Nicole Faria when she brought home the Miss India Earth title in 2010; it was the only title we won that year. Nicole, who is from Bengaluru, always knew that she had a strong affinity for modeling, and wanted to make it big in the industry. And, that’s precisely what she did. She has ever since been a staple at the runways, fashion shows, magazine cover, and all things supermodel-like! Angela Jonsson is not your average Indian model – her mother is from Mangalore and father is from Iceland. She aims to make it big in Bollywood soon. Her career took off when she was first signed up for the Kingfisher Calendar in 2011, which was and is still a big deal. From studying dance and taking up yoga to become a teacher and becoming a supermodel, Angela has a lot of firsts to her name. A bunch of magazine covers followed her first big stint, and there has been no looking back for her. 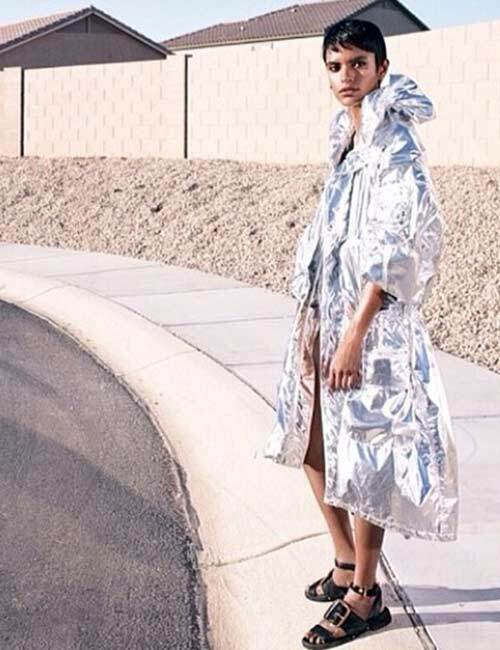 Radhika Nair is the first ever Indian model to walk the ramp for Balenciaga for its Spring/Summer collection 2017. She was popularly known as ‘that girl with curly hair,’ and worked for significant brands right after making her debut. If anything, stories like these give us reassurance that diversity still exists and provide enough validation for us or anyone else aspiring to be a supermodel. How inspiring are they? From runways to magazine covers, red carpets, etc., all of them have many ‘firsts’! Well, you know what they say, ‘If you want something, do it hard or don’t do it at all’. Who’s your favorite supermodel from India? And, what do you like about her? Let us know by dropping in a message in the comments section below.